Bigg Boss’s ex-contestant former model-turned-actress Sofia Hayat - also known as Gaia Mother Sofia - come up to support Swami. Another twist comes up in the most controversial reality show Bigg Boss. 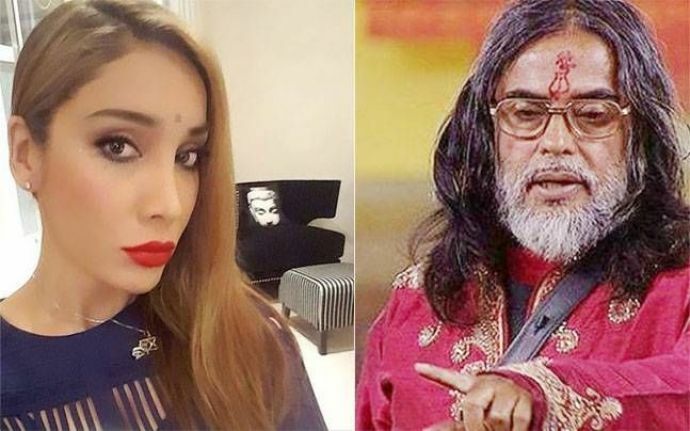 Swami Om, who was recently thrown out from the house as he threw his urine on co-contestant Bani J and Rohan Mehra during a task, threatened the makers of the show that he will not allow the finale to happen if he is not called back. After throwing out from Bigg Boss house Swami is taking support of some TV channels to make shocking allegations against his fellow contestants, host Salman Khan and the makers of Bigg Boss. She told DNA, "My take is that we must never judge anyone, and if you do, your judgments only reflect what you really feel inside yourself. As far as Bigg Boss is concerned, if people are agitated and judgmental that is their problem, not Swami's. Whatever he does, he can do and say, is as a representation of himself. We have to be really careful, a lot of things are edited in Bigg boss. They edit them and can completely change a situation around to make the innocent look guilty and vice versa." "Bigg Boss also feeds news stories to media that are perhaps tweaked in such a way that the public start to gossip and watch the show more. We have to question ourselves really, if we question Swami ji," she added.